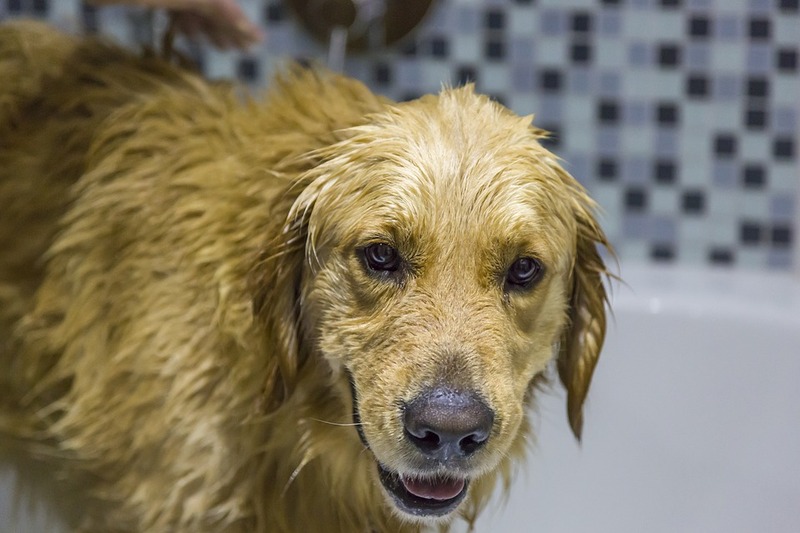 →Common Bath-Time Mistakes Pet Owners Make: What You Need to Avoid? Pets and humans are not the same things. They don’t always feel the same level of comfort while bathing as we owners do. Usually, most of the time pet owners seem to have a lot of difficulties while bathing their pets. However, only the water can’t take the sole blame. 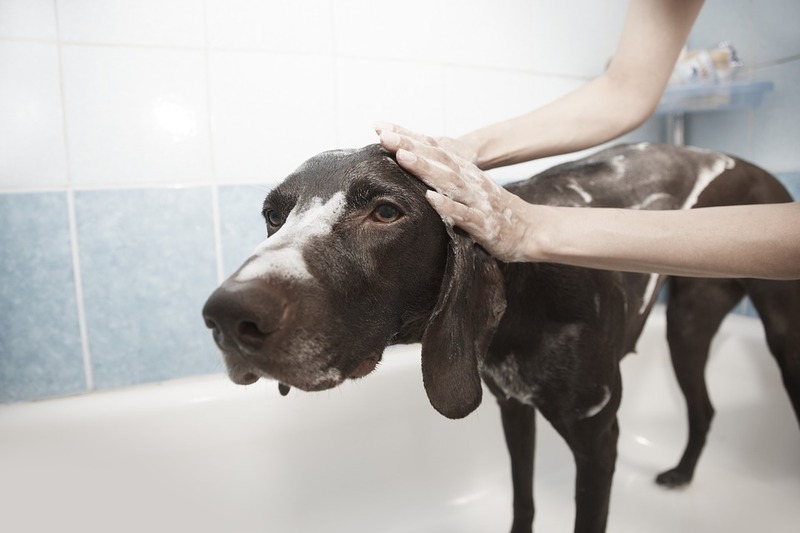 There are some common bath-time mistakes pet owners make. If you are giving your pet a wrong bath not only you are discouraging him; you are also harming him in a way. So, check out these mistakes to avoid them at all cost. Many owners make this kind of mistake. They just forget to check the temperature before getting the pet wet. Your dog will only be comfortable with the bath if you provide the right warmth for him. Dogs can’t adjust to too hot waters; it can burn them or hurt them. On the other hand, too cold water might make them fall ill, especially if there’s cold weather outside. So, make sure to bathe them always with lukewarm water. But please make sure to double check the water before letting your dog be wet in the first place. You know pets are susceptible like human babies. While you bathe, you should always ensure that they have the highest level of comforts. This refers to protecting their sensitive areas like eyes and ears. If water goes in their ears and eyes, they will be really uncomfortable. Especially when the water goes in their ears, they feel a lot of pain. Sometimes soap water can burn their eyes or even cause an infection. So, always make sure that no water goes into these sensitive parts. I know how it can be very difficult to bathe your dog. A bath session would mean that not only you and your dog would get wet, but the entire bathroom would get soaked. That’s why some owners tend to use a faucet or shower to wash the dog. However, you should know that unlike us dogs can’t really cope with the highest level of water pressure. So, when owners use string water pressure to bathe their dogs, the dogs become more frightened. You might get a strong reaction of fear if you make this mistake. So, remember to use minimum water pressure, which won’t frighten your dog. Dogs have a very sensitive skin unlike ours. Thus, if you use human-based products on your dogs like human shampoo or soap, it would irritate their skin. Not only that they can also cause skin infections and make their fur harsher. Dog coats tend to have a natural oil based coating that keeps their skin moisturized. So, never use a human-based product. Look for good pet products. Also, don’t forget about the breed of your dog. Every breed needs different caring materials. So, make sure to use the right products all the time. Sometimes owners don’t actually rink the soap correctly in order to actually clean the coat. Leaving soap or shampoo for some time on the coat won’t get rid of the dirt lodged inside the fur. You would need to scrub the coat gently in order to get rid of the excess dirt. If you don’t the washing might cause more trouble in the end. Rinse the layer for about 4-5 minutes before washing away the soap. Also, make sure that all the soap is gone, and your dog has a clear coat. After a bath, many owners don’t bother to dry their pets carefully. Just shaking the water won’t dry off your dog. And if you leave him with soaked coat, he might catch a cold and fall sick. It can also cause excessive shredding. If your dog’s fur is small, then only a towel would do the trick. However, long-haired dogs need more caring. Dog dryers can help you to dry up your dog in no time. Even though you might think this to be a bit weird but many of you don’t know that you should brush your dog’s fur before and after the shower. Why? Well, if you have a long furred dog, then it’s natural to have knots in them. If you bathe them without untangling the knots, you won’t be able to rinse them and later they would get hurt. Wet fur is not ideal for losing up knots; it’s painful. That’s why you should always brush up your dog’s hair before bathing him. This will also get rid of any access dirt and keep your dog’s coat shiny and silky. Owners tend to make this mistake pretty often. Right after a shower, they tend to dry off their pets way too roughly. Hard towels or hard pressures would definitely hurt or scare your dog. Never do it. Always be gentle with them. After a bath, you should gently squeeze your dog’s coat in a way that he won’t mind. Make sure the towel is super soft on the skin. Also, make sure the heat of the blow dryers aren’t too much for your dog to be burned. 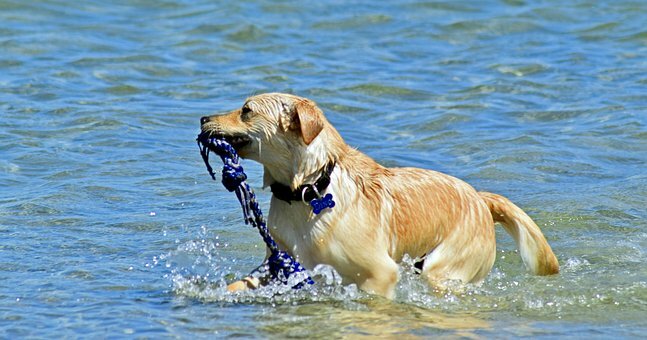 Bathing your dog too often is also not healthy for your pooch. If you wash your dog frequently, it can strip away their natural oil base fur and make them harsh. This oil is necessary for your dog’s skin as it helps in preventing skin problems. So, make sure to bathe them normally and not excessively. These are the top most common mistakes every owner makes. So, be sure to avoid them. Your dog will not obviously start to love it from the first time, but give him some time, he will come around. If you are terrified of bathing your dog, then you should look for a mobile dog wash. Here, you won’t have to deal with the hassle of washing your dog. You will get experts who are very friendly and will take premium care of your dog. So, give your dog the premium care he/she deserves.